Jude Narita has performed her one-woman plays nationally and internationally since writing her first play, the award-winning COMING INTO PASSION/SONG FOR A SANSEI which was her artist response to the demeaning and one-dimensional stereotypes of Asian women in films, theater, and on television. 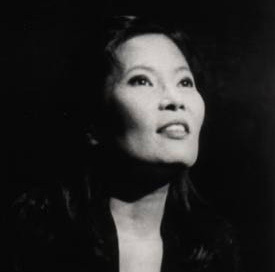 For over two decades, she has continued to create and perform her plays, bringing Asian and Asian American women to the front of the stage with humor, courage, and fearless celebration. Narita explores then transcends Asian issues—celebrating our differences, while illuminating the universal humanity of us all. "In an astonishing solo performance, Jude Narita, a versatile actress and fearless writer, sheds an authentic, humorous and deeply moving light on the dilemma of the Asian American woman."